This case was designed as part of an installation project provided by North American Theatrix. 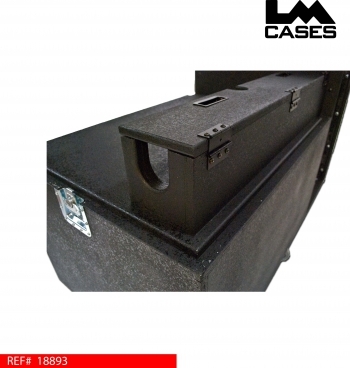 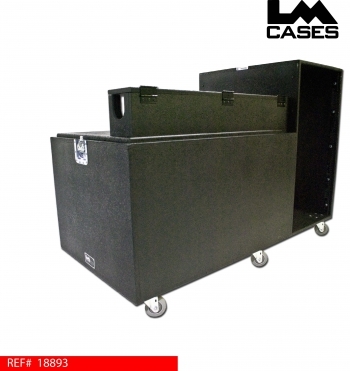 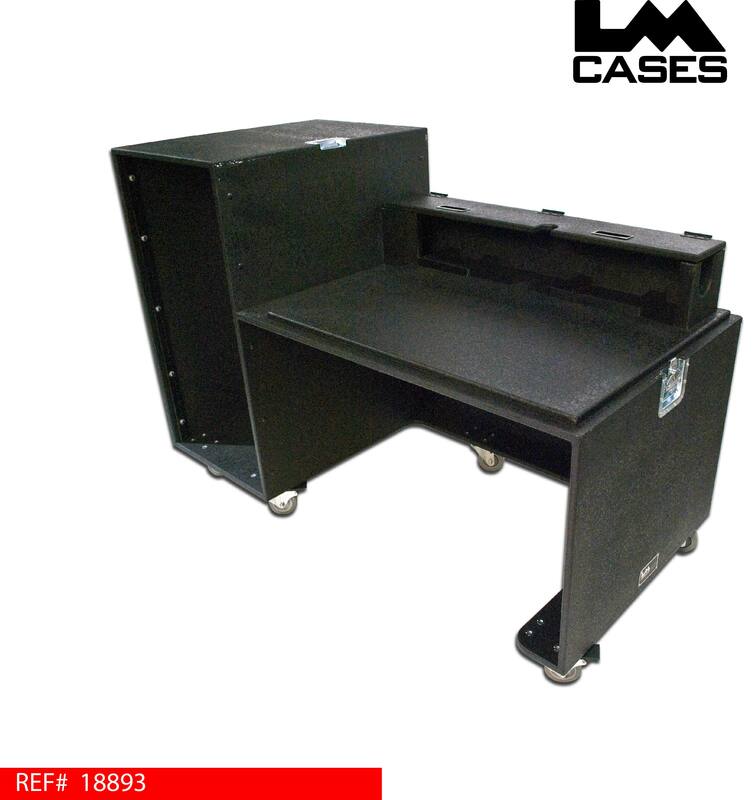 The case is designed to blend in when it is installed at a theater, the case is built out of 3/4" birch and features LM's black textured coating. 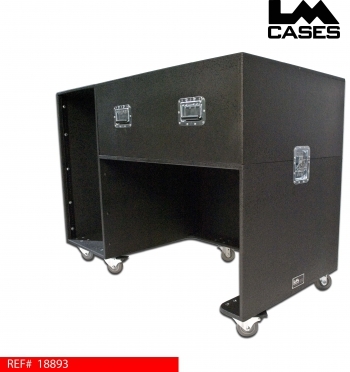 The unit features a removable lid that covers the mixer when it is not in use, and 3.5" casters for portability. This workstation also features a 21 RU rack to hold all wireless and processing gear, and a doghouse for cable management.